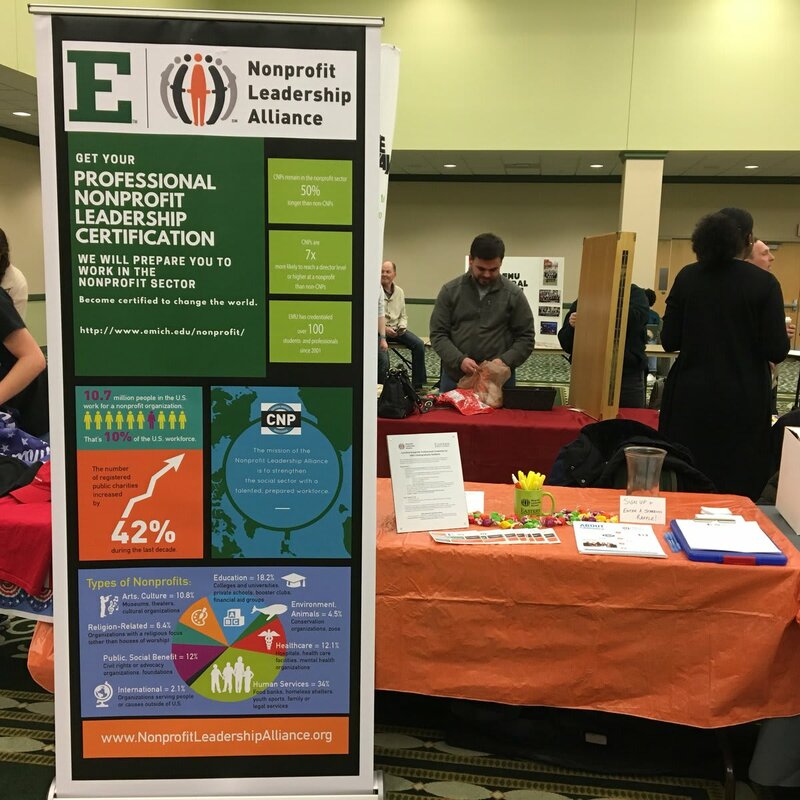 Students involved in the Nonprofit Leadership Alliance at EMU are dedicated to strengthening the social sector by gaining the professional skills and experiences necessary to be the nonprofit leaders of tomorrow. The Alliance Management Institute (AMI) brings together over 750 students and nonprofit professionals. Through a series of workshops, presentations, interview sessions, and networking activities students gain hands-on, practical nonprofit experience. Students also spend a day working in consulting teams to help REAL nonprofits solve REAL problems. This year, the EMU NLA Student Association will also be competing in the What's the Big Idea competition where they will be presenting a program targeted at reducing racial bias toward young, school-aged children and improve future lifelong opportunities. 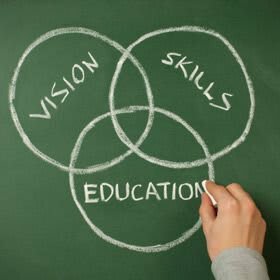 AMI also serves as a required component for students working toward their Certified Nonprofit Professional credential. This year the Alliance Management Institute will be held in Orlando, FL from January 2-4. The total cost for each student to attend ranges from $800-$1,000 ($250 for registration plus flight and hotel). 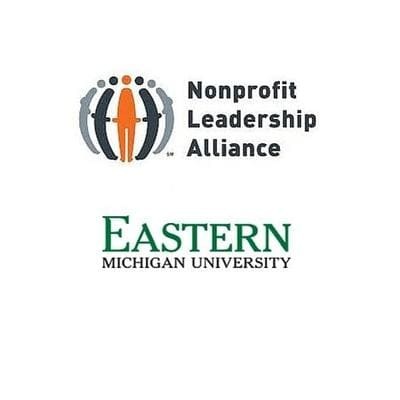 To offset the cost of this conference as much as possible for our students, the NLA Student Association is seeking donations from those who support strengthening the social sector in southeast Michigan. Gifts can be made in any dollar amount. Click on the donate button and then fill in your chosen amount when the form opens. The minimum gift amount is $5. Thank you for your support! Your gift of $50 supports 1/2 a night at the conference hotel for 1 student. Thank you for your support! Your gift of $100 covers one night at the conference hotel for 1 student. Thank you for your support! Your gift of $250 dollars covers the conference registration cost for 1 student. Thank you for your support! Your gift of $500 covers the registration cost of the conference and the flight to Orlando, FL for one student. Thank you for your support! Your gift of $1,000 fully sponsors one student to attend the Alliance Management Institute! To make a gift great than $1,000, click on the donate button and customize your gift amount when the form opens. Thank you for your support!